This excellent value smart charger is designed to maintain and recover lead-acid batteries in modern 12v, and older 6v bikes. The microprocessor controller first checks a battery’s state, before running through various phases: a deep-discharged battery (from 1.5v for 12v and 0.63v for 6v) will be taken to a higher voltage in an attempt to get it working again. After that a ‘soft charge’ mode gives a light, pulsing current for batteries not quite deep-discharged, then ‘bulk charge’ provides the unit’s full 0.9A to recover around 85-90% of a battery’s capacity. Following this, if necessary a desulphation mode provides a higher voltage for a controlled overcharge, to recover the remaining 10-15% of capacity. From there, an analysis mode stops the unit charging to see if a charge is held, and if so, a maintenance mode then keeps the battery topped up, while promising no chance of overcharging, overheating or electrolyte loss. The analysis mode operates every so often through this stage, and every 30 days an equalization charge balances the battery’s cells. Got that? Well you needn’t worry, because like me you’ll probably just plug it in and forget about it – that’s what I’ve done. 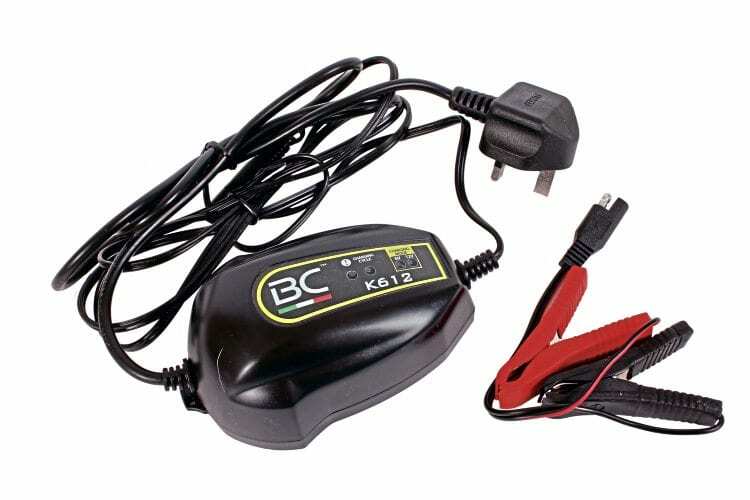 The charger comes with a crocodile-clamp connector, which was no use for wiring direct to the bike’s battery. It’d be easy to swap the clamps for a couple of ring connectors, but you’d still need to wire a fuse in. 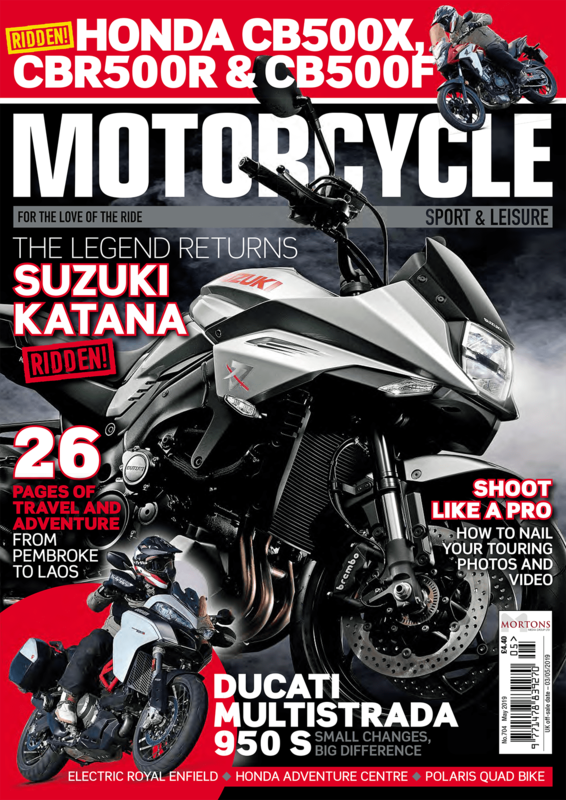 A ready-made connector is available for an extra £9.17 – search for ‘battery cable’ on the Wemoto site and select the one with the new plug. The plug is a standard SAE connector, but I’m not a fan. While it’s undeniably better than the old Tamiya connector, I’d prefer something a little less stiff and clunky. Still, the standard has been chosen, and it’s what every manufacturer uses, no doubt thanks to it being simple and cheap to produce. I ran a cycle of charges and discharges, using this and my old Optimate charger – both had no problems, and consistently left the battery at 13.66 to 13.67v. The instructions were generally fine, but the unit ships in 6v mode, and the directions for swapping between outputs were a little hidden. A quick call to Wemoto showed me my mistake, so support is great (and the charger comes with a three year warranty). A wall-mount would be handy, but this is a great value unit that could save a lot of hassle if you have a bike that’s not used regularly.